Who is Nina Mae Fowler? Meet the artist loved by Jude Law. 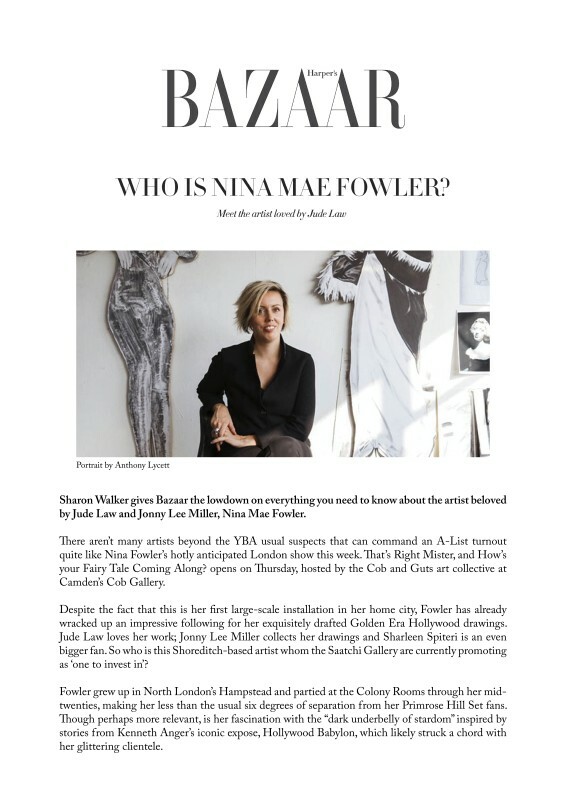 Sharon Walker gives Bazaar the lowdown on everything you need to know about the artist beloved by Jude Law and Jonny Lee Miller, Nina Mae Fowler. There aren’t many artists beyond the YBA usual suspects that can command an A-List turnout quite like Nina Fowler’s hotly anticipated London show this week. That’s Right Mister, and How’s your Fairy Tale Coming Along? opens on Thursday, hosted by the Cob and Guts art collective at Camden’s Cob Gallery.